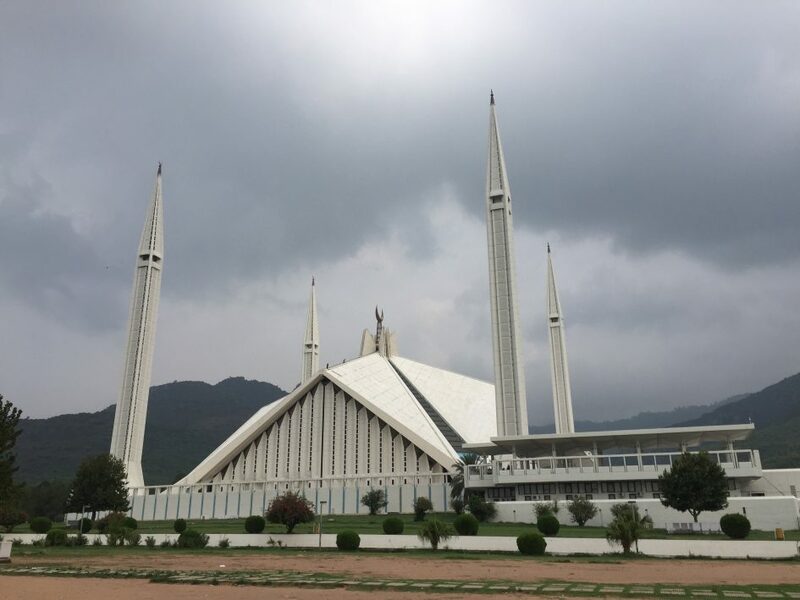 While the capital of Pakistan doesn’t have the deep roots and history like for example Lahore, you can spend a day exploring the different places to visit in Islamabad. 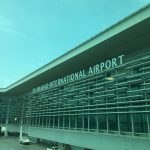 So whether you just arrived at the Islamabad airport, or finishing your Pakistan trip in the country capital, make sure to spend a day in Islamabad. pakistSee below the list of things to do in Islamabad area. You can see most of them in one day. We rented a taxi driver for the day, who waited for us while we visited each location. Altogether the visit lasted between five to six hours. Make sure to check an Islamabad map as the city is quite spread out, and not easily walkable. 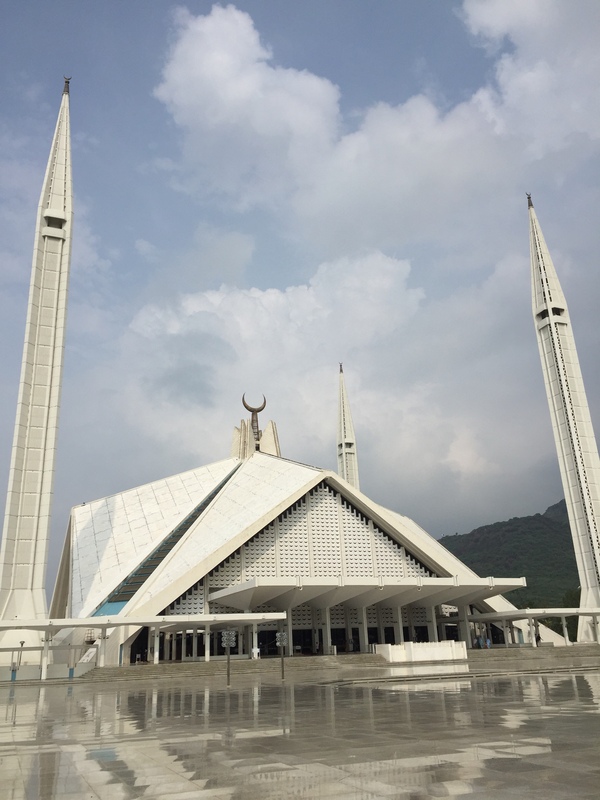 Faisal Mosque is the main attraction in Islamabad. Built on the foothills of the Margalla Hills, the modern design aims to replicate the style of a Bedouin tent. Built on the 1960s, the Faisal Mosque was the largest mosque in the World until 1993, though it is still the largest in Pakistan. The modern look is surprising at first, but the site is quite impressive in its difference. The area is peaceful, and you can see local and visiting Pakistani come to worship. 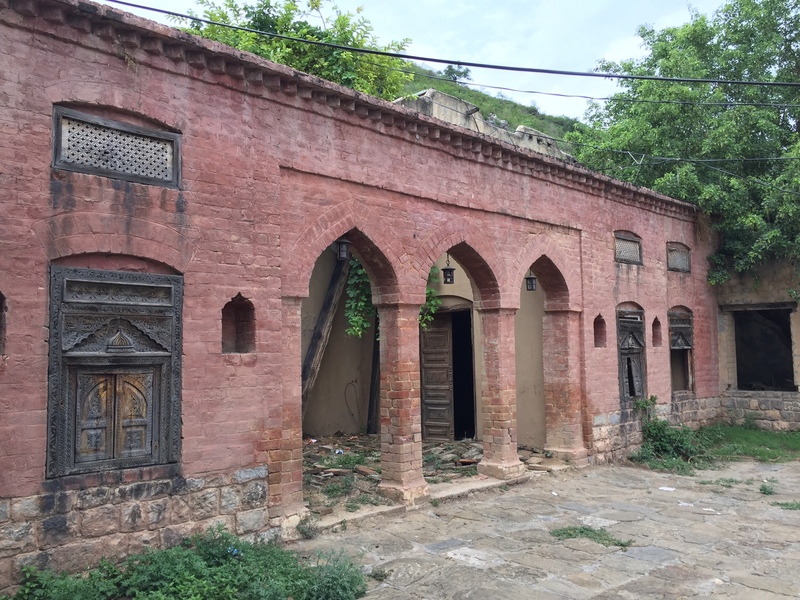 Saidpur village is a historical Pakistani community built on in a canyon of Margalla Hills. The village, which was restored in 2006, is known for its Hindu temple and Sikh gurdwara. 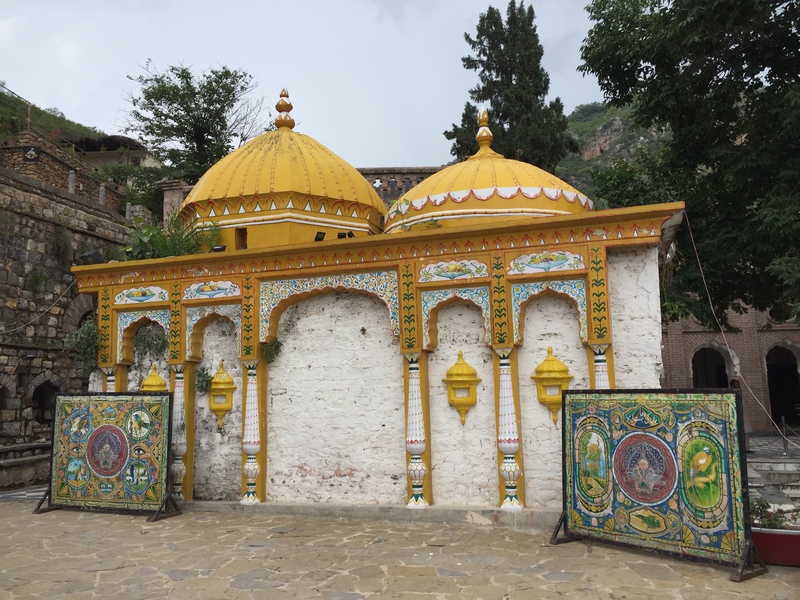 The origins of Saidpur are said to date back to at least the 16th century, where it was mentioned as a gift from Said Khan to his daughter when she married the Mughal Emperor Jahangir, the son of the Mughal emperor Akbar I (also known as Akbar the Great). Besides the Hindu Temple and the Sikh gurdwara, there isn’t much to see. Most of the restored area and the stone wall by the creek have tourism display – restaurant, gift shops. Walking up the canyon takes you through the streets of today’s village, where you can see how the local Pakistani live. The area appeared under construction and the creek filled with discarded materials. A couple of abandoned houses are worth seeing, right before the parking lot. The old style, the wood carvings of the doors and windows, the arches of the front yard do a better job at showing remnants of the Mughal era. 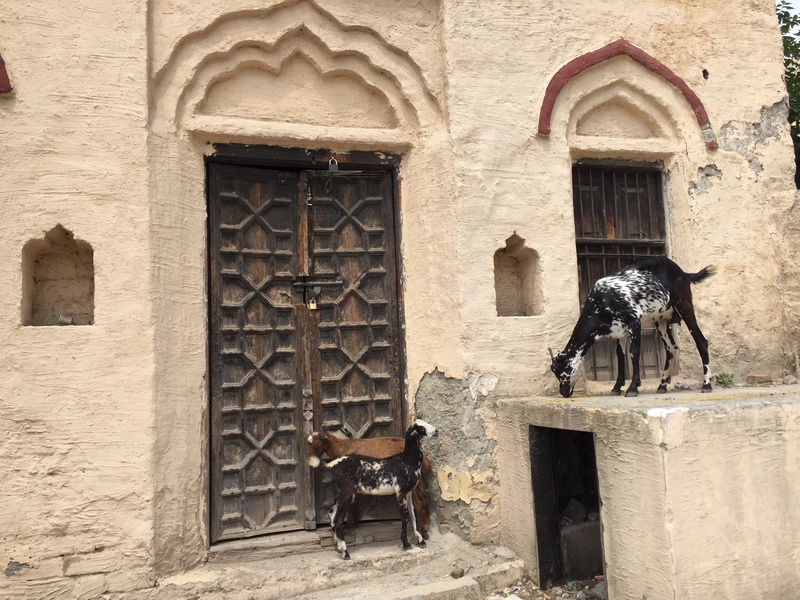 While the entrance is free, we feel that Saidpur Village could be easily skipped. The history of the place is interesting, but besides the temple and gurdwara, there is not much to do or see. If you do go there, make sure to check these older houses before entering the village. Located in the north of Islamabad, the Margalla Hills are part of the Margalla Hills National Park, set in the Himalayan foothills. Different hiking trails like Trail 3 and Trail 5 let you explore the park, and you can head to the Daman-e-Ko, where you can enjoy views of Islamabad in Pakistan. Given the scorching heat of the Islamabad weather when we were there, we did not hike, but would have loved to do so! Pir Sohawa is another recommended viewpoint. An artificial reservoir close to the Shakarparian National Park, the Rawal Lake provides the water to Rawalpindi and Islamabad. The lake is a favorite hanging place for the residents, and boating on the lake is equally a fun thing to do. Go there around sunset to enjoy the soft colors over the lake, or relax in one of the numerous parks in Islamabad. Standing tall on the western Shakarparian Hills, the Pakistan Museum is worth visiting for the view over Islamabad. A national monument and heritage museum, the structure symbolizes the unity of the Pakistani people. The Monument itself has an impressive architecture. We recommend visiting in the morning to get the sun into the monument. The Pakistan Monument is popular with Pakistanis who will definitely come to chat with you. The Pakistan Monument Museum at the lower section of the memorial is said to be rich with Pakistan history & artifacts. We did not get to visit as they had a power outage. Entrance to the Pakistan Monument: 250 rps. Admission to the Museum is extra. Also called the National Institute of Folk & Traditional Heritage, the Lok Virsa is altogether a museum of history, art, and culture in Islamabad. A must-see while in Islamabad! The museum offers a great overview of the different traditions, tribes, and regions of Pakistan, as well as relations with neighboring countries. You can easily spend two hours there. Occasional, local musicians play traditional instruments and let you enjoy the beats of the drums. Entrance is 50 rps for Pakistanis but 500 rps for foreigners. Still worth the price in our mind. We mentioned to our driver Rafik we wanted to have Pakistani tea, so he took us to a food court. 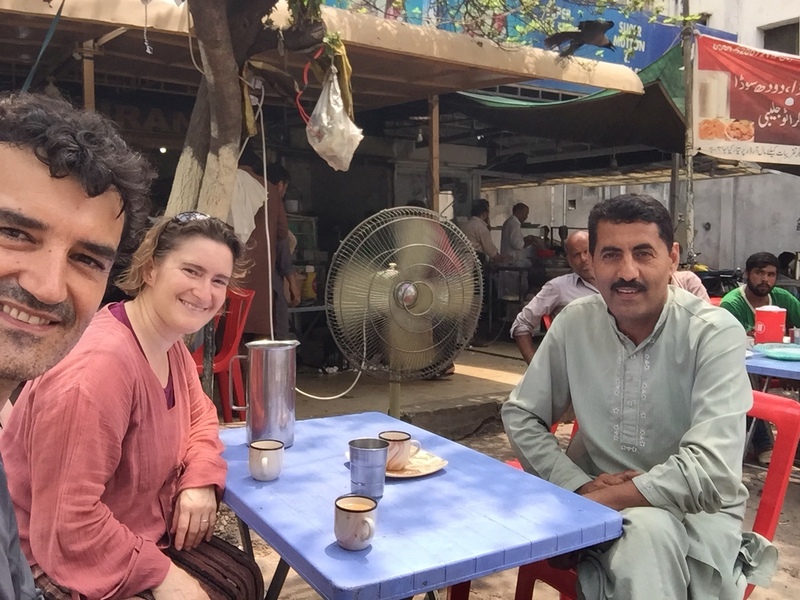 There, among fresh chapati, spicy dal, and chicken puleo, we enjoyed cups of chai, the local Pakistani tea. Rafik was a great driver and guide. A former hotel employee, he now prefers to drive a taxi that gives him more freedom and flexibility. We chatted a while with him, learning some Urdu, Islamabad life, and enjoying Pakistani hospitality. For more Pakistan adventures, check our posts on the Kalash Valley Festival, hiking in the Phander Valley and Shandur National Park, and exploring the village of Machollo in the Hushe Valley. Islamabad is the most beautiful city of Pakistan, no doubt and it is also one in 5 most beautiful capitals of the world. We might list a few other cities before Islamabad, and we might have a slight preference to Lahore thanks to its beautiful walled city. But defining what makes a city beautiful is so personal and based on different expectations, the list of top cities is sure to change from person to person! Yes these are very beautiful places in Islamabad, and I wanna add some more places like Marghazar zoo, Jasmine garden, chatar park, Shakar paryan etc. Thank you for your feedbacks about Islamabad. There are always so much more to see! Thanks for the tips. Thank you for your comments, and glad you liked our post! We visited Lahore, and really enjoyed the city as well!